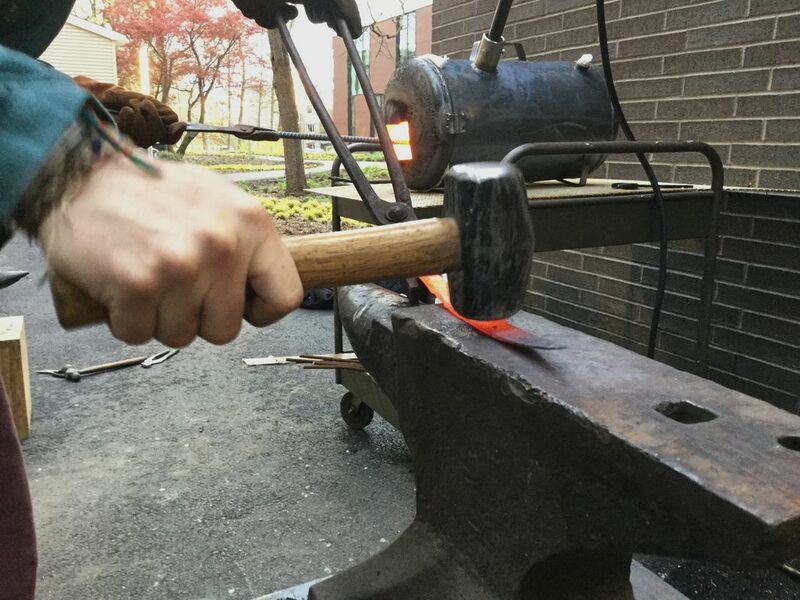 Anvils, hammers, and steel, learn the basics of forging with a homemade gas forge created by ENG student Brandon Zunin. In this introductory workshop, we will use a gas furnace to heat, shape and bend mild steel while learning the basics of blacksmithing. If attending please wear pants, close-toed leather shoes, and a long sleeve shirt. Gloves and goggles will be provided.